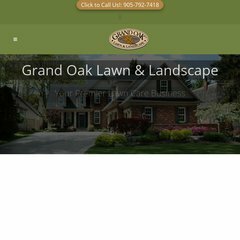 www.Grandoaklawn.com - Grand Oak Lawn and Landscape Inc.
grandoaklawn.com Grand Oak Lawn and Landscape Inc. It is hosted by Theplanet.com Internet Services Inc (Texas, Houston,) using Microsoft-IIS/6 web server. Its 2 nameservers are ns30.namespro.ca, and ns29.namespro.ca. It is written for PleskWin language.